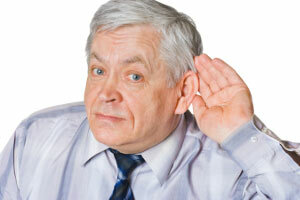 Buzzing, ringing and constantly asking, “Could you repeat that?” are all associated with hearing loss. It seems the older you get, the less you can actually hear. You start to raise the volume on the TV or radio and you’re always straining to hear what people are saying. You may think it’s a natural occurrence because you’re getting older, but hearing loss may have less to do with age and more to do with your listening habits. In fact, all generations are at a much higher risk for hearing loss than ever before, according to the World Health Organization (WHO). As many as 1.1 billion people are jeopardizing their hearing, setting themselves up to lose it completely. The data was collected from studies on middle- to high-income homes. What they found was amongst the age group of 12 to 30, 50 percent were being exposed to sound at unsafe levels. The sources, perhaps not surprisingly, were from personal audio devices and entertainment venues. The WHO describes unsafe levels of sound to be greater than 85 decibels for eight hours or 100 decibels for 15 minutes. Although the research focused on teens and young adults, this information is still important for people of all ages. As I said, sound is everywhere and we really can’t escape it. Maybe it’s your workplace that produces loud sounds, or you enjoy listening to a personal audio device as well. These are all factors that, no matter your age, are taking a toll on your hearing. Unfortunately, hearing loss is permanent and cannot be reversed. Even though products like hearing aids are available, they cannot restore the hearing you once had. This is why it’s so important to hold onto what you do have. But hearing loss doesn’t just affect your hearing. Hearing loss has other implications, such as consequences for your mental and physical health, education, and even employment. Hearing loss can pose problems for communicating with others. The WHO also suggests that hearing loss can create feelings of isolation, loneliness and frustration. All aspects can have greater impacts on your health, especially for seniors. Reduce exposure to loud noises. If you work in or around a construction site, ear plugs are a good safeguard against loud noises. When you’re listening to the radio, TV or a personal audio device, keep the volume to a comfortable level. Don’t blast it! These simple tips will help prevent any new or further damage to your hearing. Remember, hearing loss is not reversible, so protection is crucial for the long-term health of your ears and hearing ability. If you want to avoid the constant, “Sorry, what did you say?” and not become part of the estimated 1.1 billion people to endure hearing loss, take action starting right now. These safe and effective measures will help keep your ears healthy now, and for years to come. What’s really causing your hearing loss?